I honestly think, as a blog owner, one of the worst things someone can say about your site is that it is “amateurish.” That, to me, is like the death knell that can only lead to diminishing sales and credibility. What would “amateurish” be when it comes to blogs and websites? Discovering new bling for your blog is fun, but like anything in life-moderation is key. If you have so much “goin on” on your blog, visitors are getting vertigo from trying to see it all, it might be time to step aawwayyy from animations, blog buttons, pop-ups and award images. What better way to have your blog scream “I never look at this!” than to just keep those sidebar buttons in place from events that have passed months (even years) ago. The header of your blog is like your billboard. 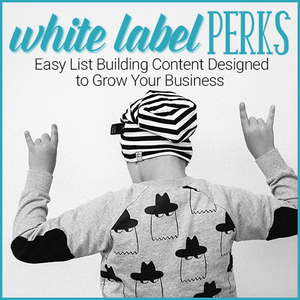 It’s the first, and the biggest, thing visitors see when they come to your blog. By not investing in something of quality, you run the risk of visitors being unimpressed and maybe even worse, being suspicious of your credibility. It would also be like wearing ratty jeans to a job interview. First impressions, people! Images that look like they were taken back in the 70’s or 80’s. If your company photo includes anything plaid, wide collars, power suits or shoulder pads, it may be time for a retake. A contact form that includes a mailing address and only a mailing address. No social media sharing buttons whatsoever. An outdated site may lead people to believe your business knowledge and tactics are outdated as well. No matter how much knowledge you possess, you may never get the chance to share it if your first impression leaves someone bailing from your site because they feel you are a beginner or are turned off by the outdated look. Granted, you can’t please everyone (nor should you try!) but simple maintenance, along with caring enough to keep your blog fresh and vibrant, will keep the visitors coming and better yet, staying. If you feel you may fall into the categories above, now is the time to take action and make changes. If you don’t, you may lose out on leads and potential clients who come your way. 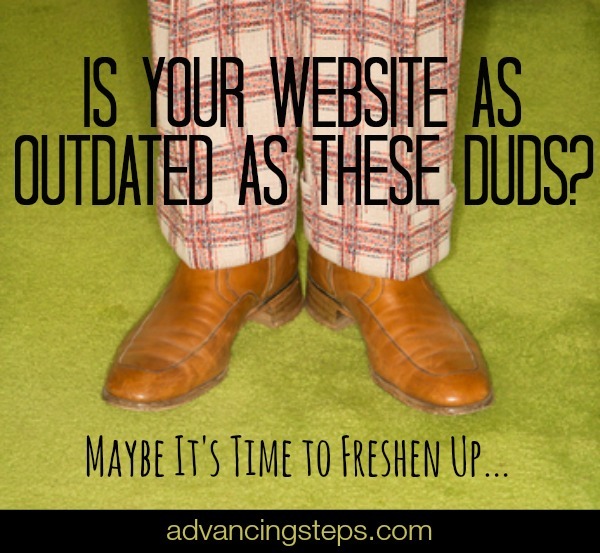 If you need help freshening up your site, please contact me.